Suppose we told you that a press image of the Samsung Galaxy S IV has been available for you to look at for nearly a month? Seems crazy, right? Back on December 27th 2012, a student from Hong Kong with absolutely no connection to Samsung, posted the image of what is alleged to be the Samsung Galaxy S IV. The picture shows a phone with some subtle changes from the Samsung Galaxy S III including a less rounded top and bottom, a thinner bezel, and a larger screen and home button. Even the information listed with the picture on Picasa has what appears to be the correct information, as it names the phone the "Galaxy S IV GT-I9500 Product Image". 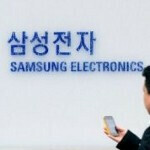 Earlier on Tuesday we told you that J.K. Shin said that the Samsung Galaxy S IV will not appear at MWC, and speculation centers on a U.S. hosted Samsung Unpacked event on March 22nd as the date when the sequel to the hot selling Samsung Galaxy S III will be introduced with a launch to commence in the middle of the following month. The Samsung Galaxy S IV is allegedly the GT-I9500 with Samsung skipping the GT-I9400 model designation since the number "4" is considered to be bad luck in Korea. The device is currently going by the code name of Altius (J), will supposedly have a 2600mAh battery and wireless charging capabilities. That goes with the expected 5 inch Super AMOLED FHD screen, Samsung Exynos 5 Octa processor and a 13MP camera. Let the drooling commence. it looks nice. Lets talk about a good battery life and good results on a drop test. If we have both I will most likely buy the device. I skip the s3 because drop test was horrible and Note 2 had better battery life. I hope not, this is the same as GS3, time for SS to step up and use metal for GS4, stainless steel please. You are correct. An NFC tag on a metal surface won't work, let alone NFC through a metal case. The Nokia C7 has NFC and the battery cover is metal. There will be plastics or glass, but should not be the dominant part of the body. yup NFC doesn't work through metal as good but SS can go in for a meaterial like the Surface tablets a magensum composite alloy which seems to have no problems whatsoever for phones and tabs alike! Also if its polycarb / plastic then there should be a matte variant to the device as well instead of all glossy But hey SS will always bring out a winner of a device that I am sure of! what is it with this obsessional belief that metal is automatically better than plastic? You didn't buy a galaxy s3 because it didn't perform well in drop test? Is this really that hard to not drop your phone or buy a case? Not if you're an idiot or have a physical disability (or a spouse/significant other that causes you to throw your phone against the wall in fits of anger). Physical disabilities are a good excuse, any other reason than that is just plain stupid. 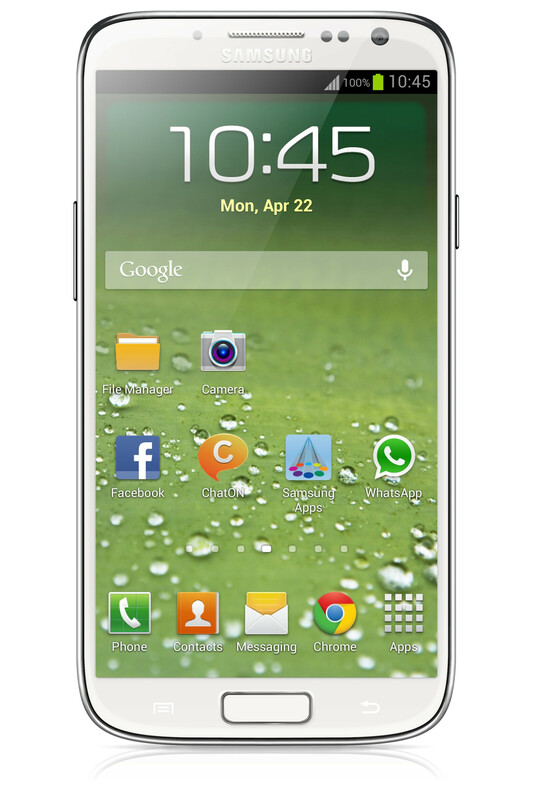 This render is not the Galaxy S4 you can trust that. Samsung doesn't make these kinds of mistakes. We will see the Galaxy S4 when time comes probably 2 weeks before March 22nd. That's not the point. If it's unlucky or whatever, then why use S4 just because people will get confused? How about people in Asian countries won't buy a GT-i9500 S4 because it has an unlucky number somewhere. I guess you have not been to Korea. buttons in elevators show "F (four)" instead of "4". Some buildings don't even have 4th floor. it just goes from 3rd to 5th. sounds silly but that is the truth. All your points are valid, but the Galaxy S3's screen leaves something to be desired, especially if it is next to a 720p LCD screen, it has a very visible crosshatch effect which bothers my sight a lot.